This is a test of my new iPhone blog scripting. It’s a beautiful night here at Collinwood Lake at my parents’ cabin. 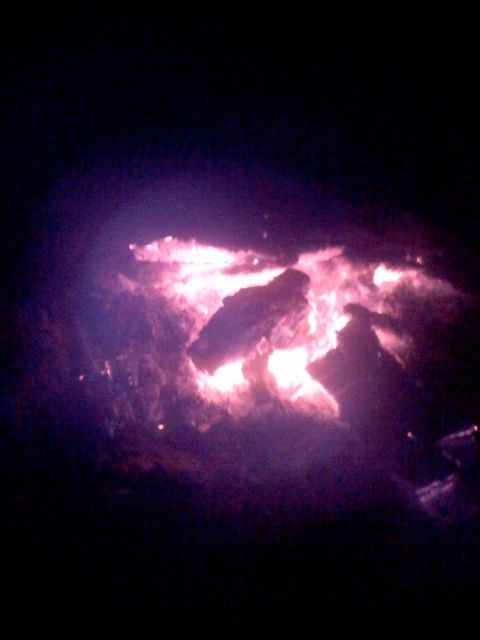 The camera doesn’t do a very good job with low light – that’s why there is a picture of a dwindling campfire, rather than the fetching Mrs. Krueger. I’m very impressed with the keyboard -even if I hit the wrong keys, it just knows what I meant and fixes it!